For some reason the idea of ‘layering’ can still make people squirm. 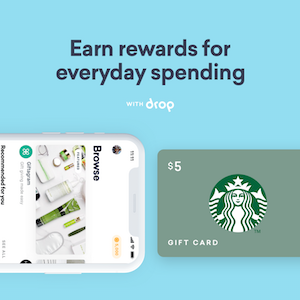 It creates questions – How will I know what to layer? How do I know if what I’m layering is too much? Too bulky? Do I look stupid? These questions alone are enough to make a grown man say, ‘Forget it!’ and turn to the tried and true jean and shirt. Good enough right? Well, maybe. But actually, not really. 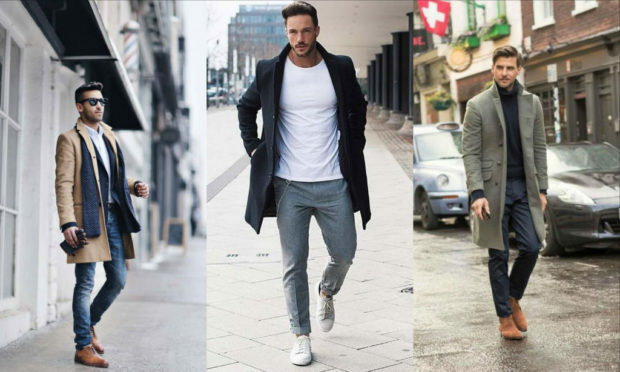 See, if you’re a man who likes style and knows that showing a sense of style goes a LONG way (and believe us, this is true) then you know that by adding small details and additions to your look, you can easily elevate your style and stand out. And since fall is the perfect season to get your layer on, let us break it down for you. A lot of men will look at the vest as too formal. But paired with your overall look in the right ways, it actually offers a lot of versatility. Because the reality is, a vest doesn’t have to be dressy. 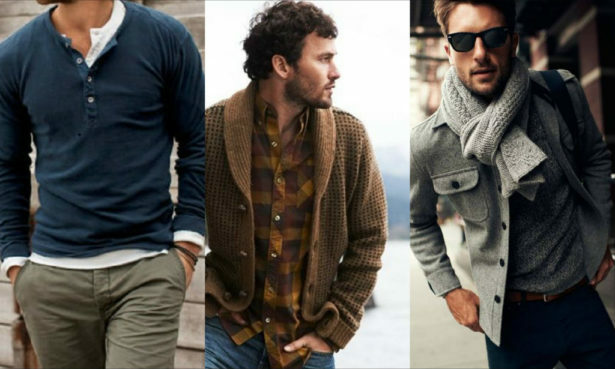 As in these examples – you can still look rugged and casual with the addition of a vest. 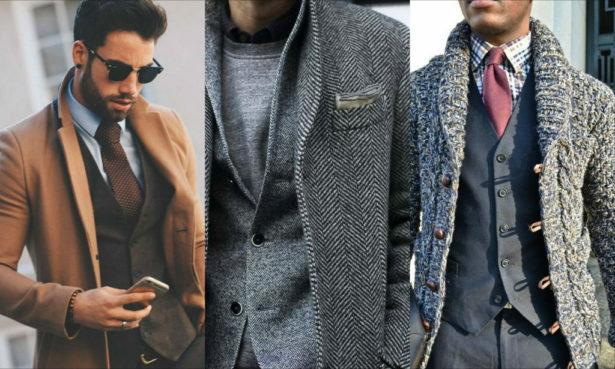 Pay attention to fabric and colour when you’re looking for a great vest. Tweed instead silk is a smarter play since it is warmer and conveys a ruggedness. And browns, greys or navy are better than black for working within your casual wardrobe. Even wearing a vest under the right sweater is fair game. Ok guys, a lot of you live in jeans. We all do. And jeans have come a long way. What used to be a pant for the working man has morphed into a staple in all men’s and women’s wardrobes. 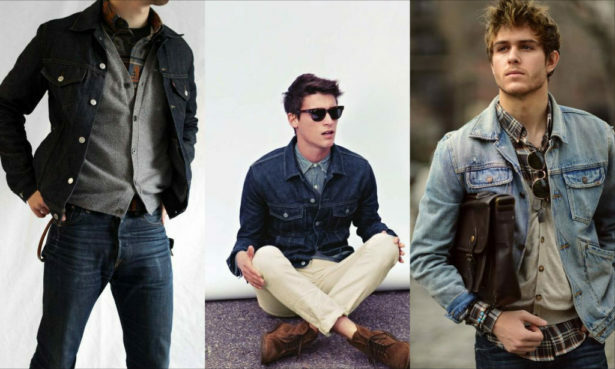 But don’t forget about a great denim jacket (fitted, please!) as an amazing piece for layering in your everyday look. If you’re layering and want to introduce some colour, choose one or two – max. It’s perfectly OK to have a one colour “popper” but you want to keep your look muted so that overall, there’s not so much going on. The great thing about fall is that every year, no matter what’s on trend, the colours we see in fashion are rich and earthy, just like the season around us. So while brights are great, and perfect for summer, keep to grays, browns, burgundys and navy for fall. Invest in a great coat. Seriously. An amazing fall coat is a sure-fire way to get the layering look with minimal effort. A tee underneath a sweater paired with a belt and a great coat over top – and you’re done. Since fall is here to stay, it’s time to kick it up a notch and make sure you look the part of the eligible man you are.